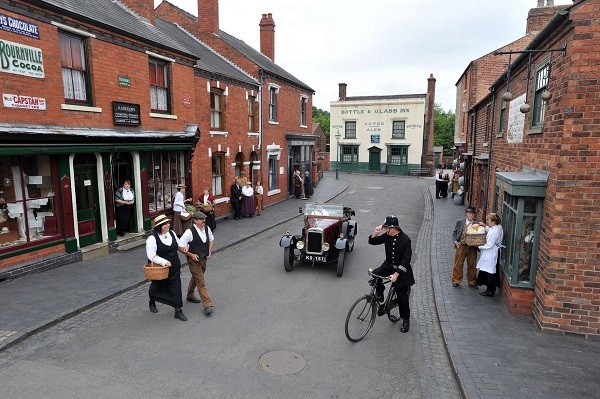 The Black Country was famous for the Staffordshire Thick Coal, which lay beneath much of the area. The coal occurred in seams of up to 10 metres thick, far bigger than anywhere else in Britain and the extraction of this coal led to problems of subsidence as the ground dropped to fill the holes left. Audio visual techniques and advanced electronics bring to life the conditions of the workers in the Black Country mines and parties of visitors spend 35 minutes underground in the very mines that were used in the 19th century. The Museum’s award-winning fish and chips are cooked in beef dripping for an authentic taste of the past. Hobbs Fish and Chip Shop has dished up the nation’s favourite food to countless Black Country folk.